Keating, Michael P., Clifford A. Ochs, Devika Balachandran, Marjorie M. Holland, Richard E. Lizotte, and Kewei Yu. 2016. Spatial variation related to hydrologic patterns and vegetation in greenhouse gas fluxes from the Mississippi Delta agricultural region. Applied Soil Ecology 98: 278-281. Menon, R. and M.M. Holland. 2014. Phosphorus release due to decomposition of wetland plants. Wetlands 34 (6): 1191-1196. Menon, R., C.R. Jackson, and M.M. Holland. 2013. The Influence of Vegetation on Microbial Enzyme Activity and Bacterial Community Structure in Freshwater Constructed Wetland Sediments. Wetlands. Published online 08 March 2013. Holland, M.M. and W.M. Clapham. 2012. Vegetation Changes in Temperate Forested Island Communities in Lake Winnipesaukee, New Hampshire, USA. Rhodora Vol. 114 No. 960: 397-419. Winkler, M.G. and M.M. Holland. 2012. Nonnative Plants at Three Mile Island Camp. Appalachia Summer/Fall 2012: 138-141. Menon, R. and M.M. Holland. March 2012. Study of Understory Vegetation at The University of Mississippi Field Station in North Mississippi. Castanea 77(1):28-36. Ryndock, J.A., G.E. Stratton, J.S. Brewer, and M.M. Holland. January 2012. Differences in Spider Community Composition among Adjacent Sites during Initial Stages of Oak Woodland Restoration. Restoration Ecology Vol. 20 No. 1 pp. 24-32. Clapham, W.M., M.M. Holland, and J.D. Maciejowski. 2011. Botanical Surveys Reveal Effects of Land-Use Plans at Three Mile Island Camp. Appalachia Winter/Spring 2011: 138-140. Holland, M.M.. 2010. Survival of Salt Marsh Systems. Book Review, Ecology 91(3): 931-932. R. Kröger, M. T. Moore, C. M. Cooper, M. Holland. 2009. Diazinon Accumulation and Dissipation in Oryza sativa L. Following Simulated Agricultural Runoff Amendment in Flooded Rice Paddies. Water Air Soil Pollut 201:209–218. Kroger, R., M.M. Holland, M.T. Moore, and C.M. Cooper. 2007. Plant senescence: a mechanism for nutrient release in temperate agricultural wetlands. Environmental Pollution 146: 114-119. Kroger, R., M.M. Holland, M.T. Moore, and C.M. Cooper. 2007. Hydrological variability and agriculture drainage ditch inorganic nitrogen reduction capacity. Journal of Environmental Quality 36: 1646-1652. Holland M.M., C.J. Burk, D. McLain, H.R.P. Holland, and R.W. Prach. 2005. Relative effectiveness of management strategies in a Connecticut River oxbow. Verh. Internat. Verein. Limnol 29:512-516. Holland, M.M., E.R. Blood, and L.R. Shaffer. 2003. Achieving sustainable freshwater systems: a web of connections. Island Press, Washington, D.C. 351 pages. Holland, M.M., J. Stanturf, and M. Warren. 2002. Proceedings from May 2000 conference on Sustainability of wetland and water resources. Publication SRS-50 from the USDA Forest Service, Ashville, NC [refereed] 191 pages. Smith Maul, R., and M.M. Holland. 2002. Application of a soil perturbation index to evaluate created and restored wetlands. Proceeding from the Conference on “Sustainability of wetland and water resources,” Oxford, MS, May 2000. Publication SR-50 from USDA Forest Service, Ashville, NC. Pp 126-132. Holland, M.M. and C.J. Burk. 2000. Effects of catastrophic flooding on floodplain forest succession. Verh. Internat. Verein. Limnol. 27: 2435-2439. Holland,M.M. and C.M. Cooper. 1999. Habitat restoration of freshwater wetlands: views from the mid-South. Conference Proceedings from the Eight Symposium on the Natural History of the Lower Tennessee and Cumberland River Valleys. S.W. Hamilton, E.W. Chester, D.S. White, and M.T. Finley, editors. Sponsored by the Center for Field Biology at Austin Peay State University, The Center for Reservoir Research, and the Tennessee Valley Authority — Land Between the Lakes, Clarksville, TN. Pp21-31 [invited plenary talk]. Thornton, J., W. Rast, M.M. Holland, G. Jolankai, and S.O. Ryding. 1999. Assessment and control of nonpoint source pollution of aquatic ecosystems: a practical approach. Volume 23, Man and the Biosphere Book Series. UNESCO, Paris, and The Parthenon Publishing Group, London and New York. 466 pp. Smith Maul, R., M.M. Holland, A.T. Mikell, and C.M. Cooper. 1999. Resilience of forested wetlands located in the southeastern United States: demonstration of a soil perturbation index. Wetlands, Volume 19, No. 1, pp. 288-295. Barnthouse, L.W., G.R. Biddinger, W.E. Cooper, J.A. Fava, J.H. Gillett, M. Holland, and T.F. Yosie. 1998. Sustainable Environmental Management. SETAC Press, Florida, 102 pp. Holland, M.M. 1996. Ensuring sustainability of natural resources: focus on institutional arrangements. Canadian Journal of Fisheries and Aquatic Sciences 53:432-439. Holland, M.M. 1996. Environmental gradients and wetlands. IN Wetlands: environmental gradients, boundaries and buffers. Warner, B. and G. Mulamootill, editors. Lewis Publishers. Holland, M.M. and R.W. Prach. 1994. Sustainability of urban wetlands. IN Platt, R. and R. Rowntree, editors. The Ecological City: preserving and restoring urban biodiversity. University of Massachusetts Press. Amherst, MA pp. 69-82. Holland, M.M. 1993. Management of land/inland water ecotones: needs for regional approaches to achieve sustainable ecological systems. IN Hillbricht-Ilkowska, A., and E. Pieczynska, editors. Nutrient dynamics and retention in land/water ecotones of lowland, temperate lakes and rivers. Kluwer Academic Publishers. Hydrobiology 251: 331-340. Holland, M.M. and J. Stanford. 1993. Issues and research needs in valuing ground water: an ecosystem perspective. Proceedings from Conference on Clean Water and The American Economy: session on ground water. Vol. 2. U.S.E.P.A./RFF. Arlington, VA.
Huntley, B.J., E. Ezcurra, E.R. Fuentes, K.Fujii, P. Grubb, W. Haber, J. Harger, M.M. Holland, S.A. Levin, J. Lubchenco, H. Mooney, V. Neronov, I. Noble, H.R. Pulliam, P. Ramakrishnan, P.G. Risser, O. Sala, J. Sarukhan, and W. Sombroek. 1991. A sustainable biosphere: the global imperative. Ecology International Special Issue 20: 5-14. Lubchenco, J., A.M. Olson, L.B. Brubaker, S.R. Carpenter, M.M. Holland, S.P. Hubbell, S.A. Levin, J.A. MacMahon, P.A. Matson, J.A. Melillo, H.A. Mooney, C.H. Peterson, H.R. Pulliam, L.A. Real, P.J. Regal, P.G. Risser. 1991. The sustainable biosphere initiative: an ecological research agenda. Ecology 72 (2): 371-412. Holland, M.M., P.G. Risser, and R.J. Naiman, editors. 1991. Ecotones: the role of landscape boundaries in the management and restoration of changing environments. Chapman and Hall. New York, 145 pp. Holland, M.M., D. Whigham, and B. Gopal. 1990. The characteristics of Wetland Ecotones. Chapter 9, pp. 171-198. IN Naiman, R.J. and H. Decamps, editors. Land/inland water ecotones. UNESCO’s Man and the Biosphere Book Series. Volume 4. The Parthenon Publishing Group. London and New York. DiCastri, F., A. Hansen, and M.M. Holland, editors. 1988. A New Look At Ecotones: emerging international projects on landscape boundaries. Special Issue 17 Biology International: 1-163. IUBS. Paris, France. Go to Representative Syllabi page to see the syllabi for the above classes. Professor, Department of Biology, Univ. of MS, Oxford, Aug. 1995-present. 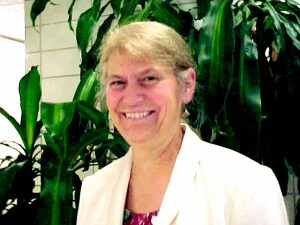 Director, University of MS Field Station and Director, Center for Water and Wetland Resources (1995-2003). Senior Research Ecologist, National Health and Environmental Effects Research Laboratory, ORD, U.S.E.P.A., Research Triangle Park, NC, Nov. 1993–August 1995. Director, Washington, D.C. Office, Ecological Society of America, Sept. 1987–Oct. 1993. Consultant, UNESCO Ecological Sciences, Paris, France, 1986-1987 [one-year sabbatical leave]. Assistant Professor, Dept. of Biology, College of New Rochelle, New Rochelle, NY (tenure awarded 1985, promoted to Associate Professor 1987) 1980-1989. Differences in Spider Community Composition Among Adjacent Sites During Initial Stages of Oak Woodland Restoration.